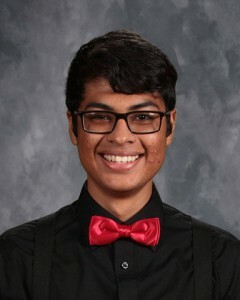 Emporia High School senior David Coria has been awarded a four-year Hagen Scholarship to Kansas State University. The scholarship is awarded to high achieving rural students in hopes they will graduate from college debt-free. David is the son of Fermin and Elizabeth Coria of Emporia. Only 200 new scholarships are awarded each year and each scholarship is worth up to $40,000 over four years. EHS gifted services teacher Misty DeDonder said the application process is in three parts, including an interview. “This is a really prestigious honor,” she said.